* What role do the traditional elements of jus ad bellum and jus in bello-and the constituent principles that follow from this distinction-play in modern warfare? Do they adequately account for a normative theory of war? * What is the role of the state in warfare? Is it or should it be the primary actor in just war theory? * Can a just war be understood simply as a response to territorial aggression between state actors, or should other actions be accommodated under legitimate recourse to armed conflict? 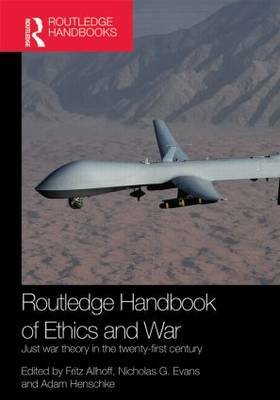 * Is the idea of combatant qua state-employed soldier a valid ethical characterization of actors in modern warfare? * What role does the technological backdrop of modern warfare play in understanding and realizing just war theories?